I’m in the woods of Vermont, preparing for the start of the east coast sessions of Not Back To School Camp. Today is staff orientation and the campers arrive tomorrow–over a hundred teenaged unschoolers. If I’m counting right, this will be my thirtieth session. I’ve only missed two since 1999. First, because this is where my people gather. The staff here are like family to me and for the rest of the year, they are dispersed. I can visit them one at a time or in clumps, by traveling. Camp is also where I am most likely to meet my future people. I’ve met almost all of my post-high school close friends at NBTSC. Second, NBTSC provides the perfect supportive atmosphere to practice how I want to be and serve in the outside world: I want to be a space for love and inspiration to show up, strong and clear, for every person who crosses my path. Third, since NBTSC happens once a year, every year, with the same basic mission, structure, and community, it provides a consistent backdrop to check myself against. My outside life continues to change, but here I am every year, back at camp. How am I showing up differently? How have I grown? Here that is quite clear. Last, it’s super, super fun. The young people are beautiful, inspiring, and open. There’s lots of music, dancing and hilarity. I love it. I’m about to leave for five weeks at Not Back to School Camp, so I won’t be posting for a while. It’s one of my favorite times of year. NBTSC is a camp for teenage unschoolers, or autodidacts. What they do for their education varies a lot but it tends to be a kind of homeschooling, where the learning is interest-led and non-coercive. 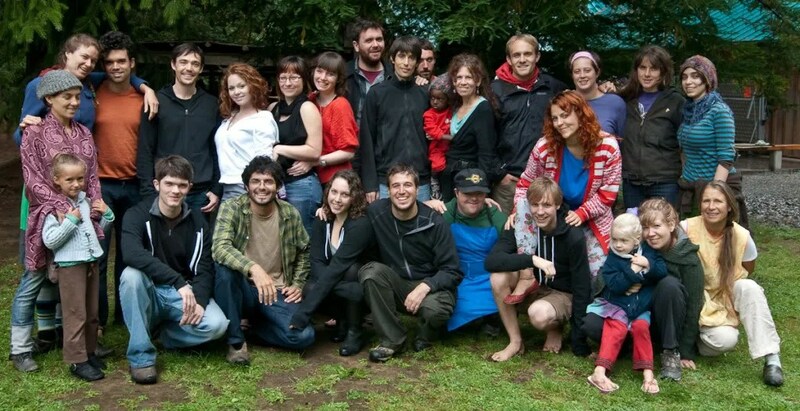 The campers are amazing people–creative, open, intelligent, fun. There are about 100 of them at each session, and there are four sessions this year, two in southern Oregon and two in Vermont. (I’m missing the fourth session this year, much to my dismay–it’s my second session missed in ten years. My graduate program starts before the 4th session ends.) My job is basically to be available to them. I teach workshops, this year on Lindy Hop, the scientific method, and the human bowel movement (based on the in-some-ways-dated but still cool little book, Man’s Presumptuous Brain). I’m doing a music project, too, where the teens that sign up will learn to play together in a band and we’ll write a piece of music to perform for the camp. The staff is amazing, too. They are mostly old friends of mine, now, and a pretty tight and very loving community. I’ve had a great day seeing them again on my breaks from packing. Have a great rest of your summer, everyone!